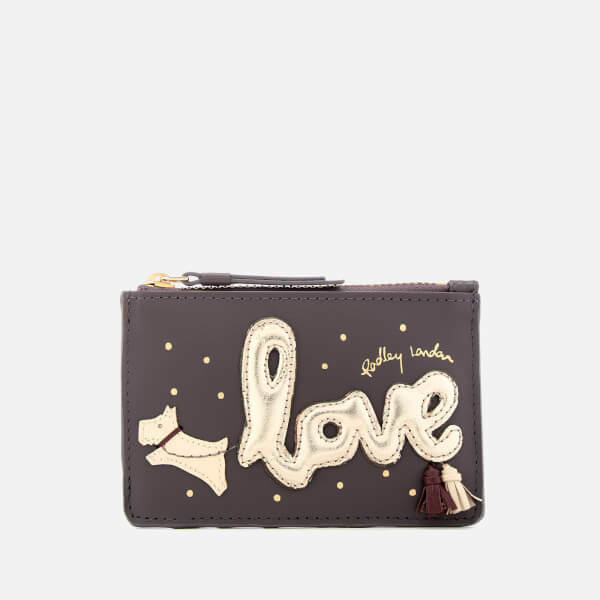 Radley small zip top purse in smooth grey leather with a playful design depicting Radley dog jumping with metallic ‘Love’ balloon appliqué, small tassel detailing and gold-tone polka dots. 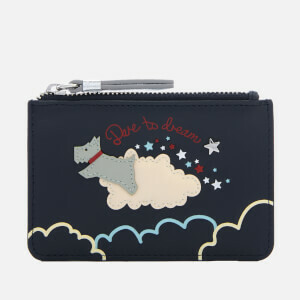 The purse comprises a zip top pocket and three card slots on the reverse. 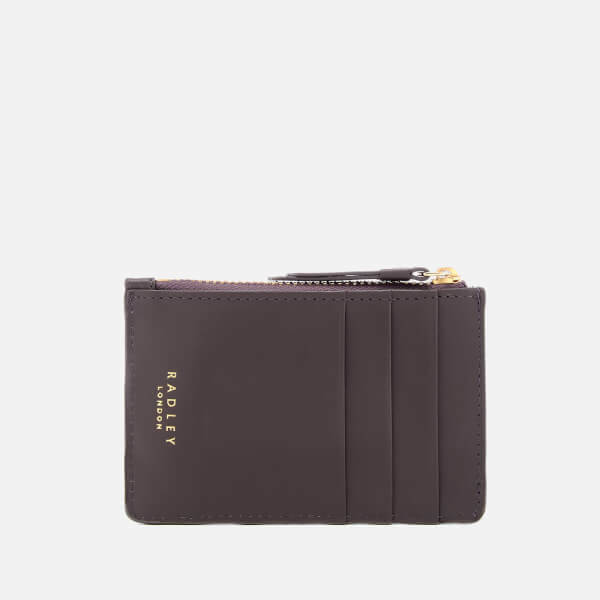 Radley London gold foil branding to the front and back. Includes a branded dust bag.